Congratulations to the 2016 Excellence in Agriculture Scholarship recipients: Abigail Joski of Kewaunee, Carmen Haack of Algoma, and Emily Gilson of Luxemburg. 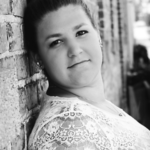 Abigail Joski is a graduate of Kewaunee High School and is now a freshman at St. Norbert College majoring in pre-veterinary science. Abigail grew up helping on her grandparents’ hobby farm, where she first learned of her love of animals. Through her education, Abigail hopes to have real-life experiences, grow as an individual, and gain insight into what she can offer to the agriculture field. 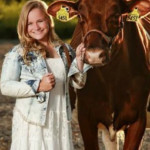 Carmen Haack is a graduate of Algoma High School and is now a freshman at UW-Madison majoring in dairy science. Carmen’s involvement in agriculture began at a young age, when she would spend time on her grandparents’ farm. When her grandparents partnered with her aunt and uncle to expand their farm in Pulaski, Carmen began spending her summers on the farm. Carmen hopes to work with cows and care for animals, especially young animals, after graduating college. Emily Gilson is a graduate of Luxemburg-Casco High School and is now a freshman at UW-Platteville majoring in animal science. Despite not growing up on a farm, Emily’s passion for animals began at an early age when she showed dairy calves as a 4-H Cloverbud. Later on, Emily fed calves on a small farm where she learned perseverance, compassion, problem-solving skills and responsibility. 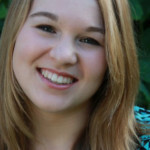 Emily plans to bring her determination to her education and career in agriculture.